Digital signage uses LCD, LED and Projection to display multiple content types including digital i mages, video, streaming media, and information. They can be found in public spaces, transportation systems, museums, stadiums, retail stores, hotels, restaurants, and corporate buildings, etc., to provide wayfinding, exhibitions, marketing and outdoor advertising. Digital Signage has replaced a lot of print and messaging boards. 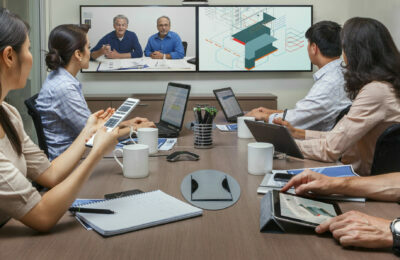 These visual displays can be stand-alone or networked. In the stand-alone mode these displays can be a single message (like a poster), an active or interactive message via power point, html or a special active visual software. The software or display engine can be either thru a digital signage box, a dedicated computer or, in some cases a USB drive. These engines can be controlled via an IP address or strictly dedicated to that display. 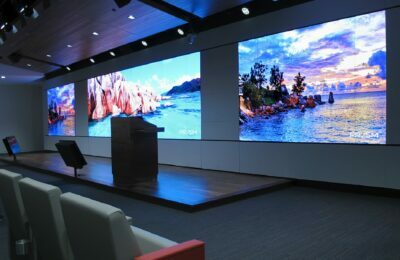 The display can be mounted in a landscape, portrait, video wall or artistic angle mode; and can be any physical size that meets your needs and budget. The information that you can display using digital signage is limited only by your imagination: announcements, menus, directions, instructions, looped safety training, advertisements, and emergency information are only a short list of roles they can fill. The information that you display can either be static (the same all the time or following a preset schedule), or it can be dynamic (live weather feeds, twitter feeds, even streaming feeds from IP cameras, and live TV) OR you can mix and match any and all of these content types! Potential display configuration at a scheduled time with scheduled information and messages. information, like coupons or notifications of promotions. 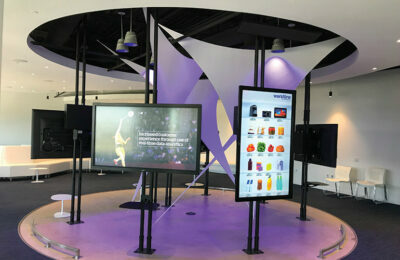 With the right choices, digital signage can be a local affair, or can be networked globally to standardize the look and feel of all the graphic elements for a company, university, or any other enterprise with multiple buildings or locations – drastically reducing the personnel needs of maintaining multiple stand-alone units across a large environment. Digital signage is here to stay and is an excellent eye-catching method of communicating your message in a fast-paced and ever-changing world. All of these displays can be networked locally or remotely. 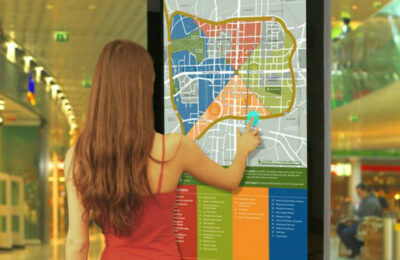 Contact us today and get the digital signage solution for you!